Dek-Niyor Entertainment front man "Chinko Ekun" continues in a fabulous way this year by releasing a new Trap infused Street Anthem titled "Eruku De". Eruku is a Yoruba word which refers to "Ride or Die friends". #ErukuDe is a track that recognizes and appreciates true friends that has stood the test of time, and you know they've got your back always. Such friends are referred to as ERUKU. 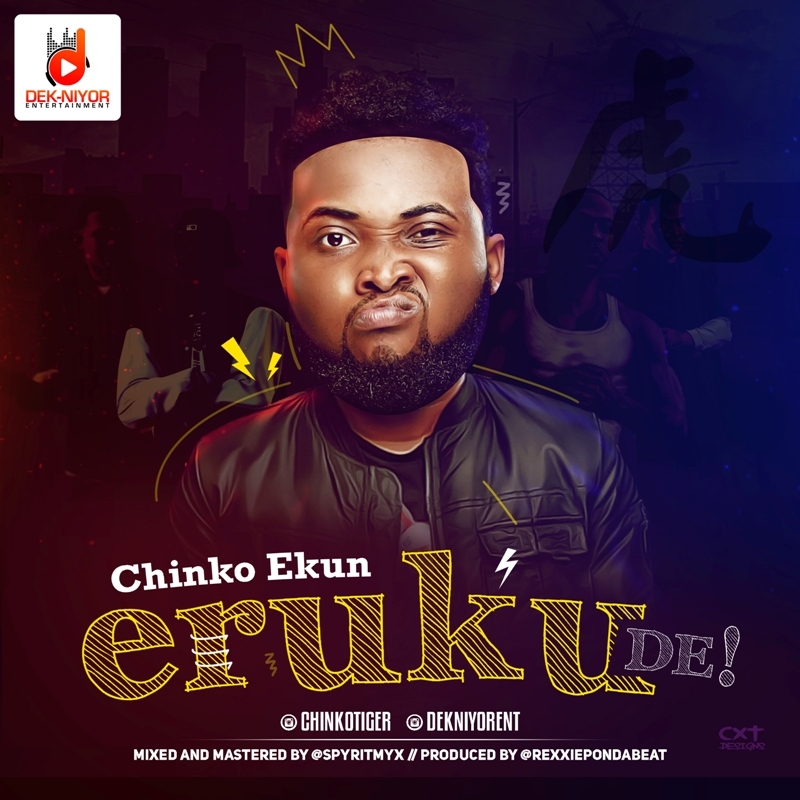 With production credit to #Rexxie (@rexxiepondebeat), and Mixing credit to #Spyritmyx (@spyritmyx), "Eruku De" is faultless from start to end and the lyrical delivery by Chinko Ekun will make you listen to it over and over.